En Gry & Sif Felt Giant Mushroom Set, approx $129 AUD from amelie's room. Pared back style in a woodland theme. As seen on Ohdeedoh and Jen Talbot. 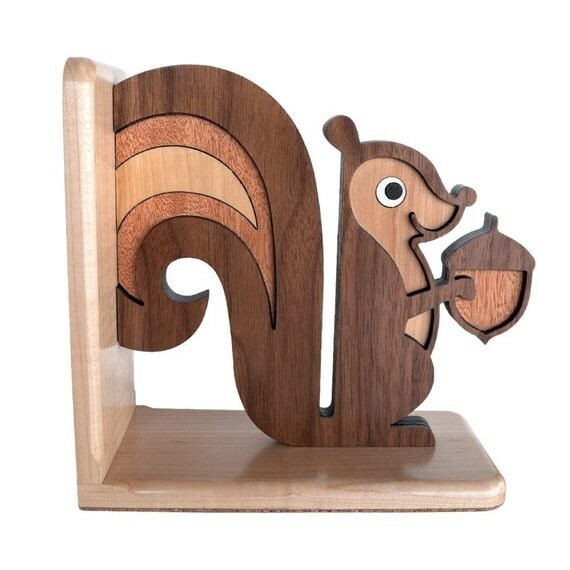 Woodland Squirrel Bookend, approx $81 AUD by Graphic Spaces on Etsy.